Make someone ~hoppy~ this holiday season. 1. A game of "Beeropoly" they can break out at parties that's pretty much guaranteed to be several steps up from their usual go-to drinking game. Players engage in a series of beer challenges — from a rhyming competition to demonstrating their best dance move — and the last person standing drinks from the "community cup." 2. 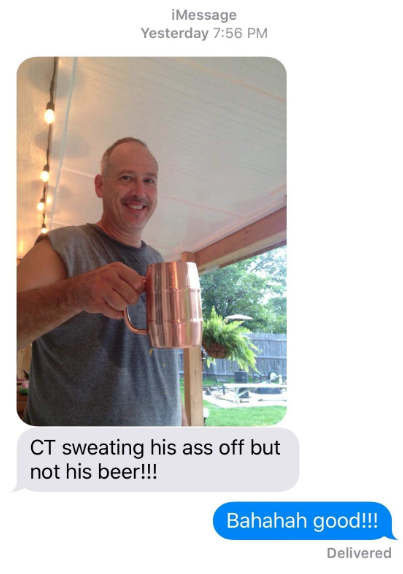 An insulated beer mug so they can enjoy every last drop at the temperature the beer gods intended — ice cold. 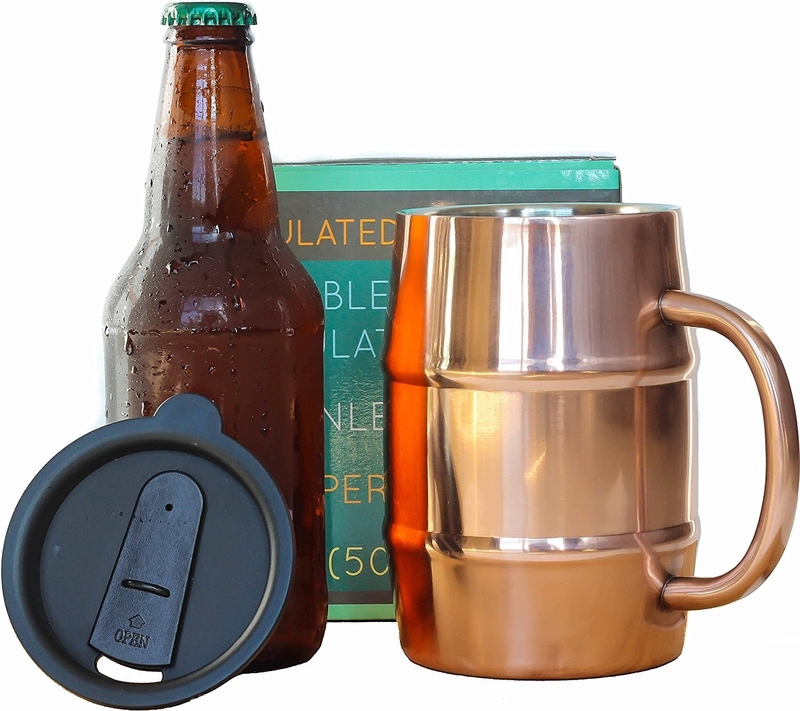 The 17 oz., stainless-steel and copper-plated mug has enough room for a pint of beer plus foam, and uses double-wall insulation to keep beverages cold. Hand-wash only. 3. 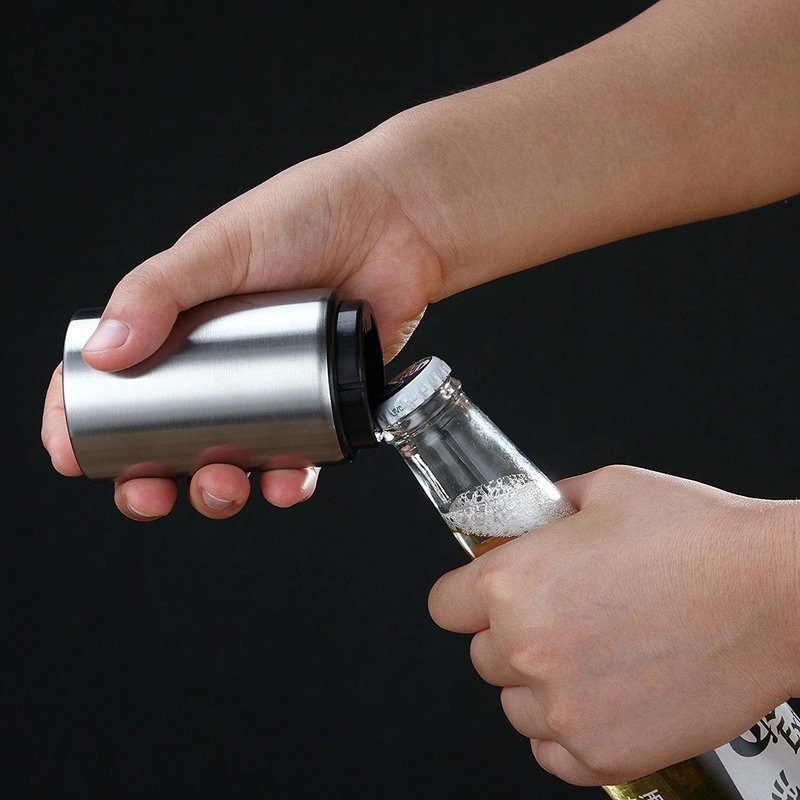 A beer holder for the shower, because no one should let basic hygiene get in the way of enjoying their favorite beverage. 4. And how about some homemade beer soaps in a variety of delightful scents to top it off? The vegetable-based soaps are 100% vegan and make from natural oils and home-brewed beer. Get a pack of three from HomeBrewedSoaps on Etsy for $18. 5. A super-cute bottle opener and corkscrew that'll make for a meowy good stocking stuffer. 6. A six-piece beer glassware set so they'll have all the glasses they need to optimally enjoy whatever type of suds are on the agenda. The dishwasher-safe set includes one glass each of the following: classic pilsner, English pub, Belgian ale, craft pub glass, porter/stout, and wheat beer. Get it from Amazon for $33.47. 7. A beer-making kit to take their love for all things hoppy to the next level. Get it from Target for $30.99 — and find more options for brewing different kinds of beers (as well as refill kits) here. 8. And a set of reusable bottles that are safer than glass, to use while they get into the swing of brew-making. Includes 12 reusable 740ml BPA-free plastic PET bottles, caps, and bottle labels — perfect for brewing 2 gallons of beer or hard cider. 9. An adorable koala print sure to make the recipient of this gift beery happy. The print measures 10.80 x 8 inches and does not include a frame. 10. A beer-bottle-chilling coaster set as functional as it is chic — just pop it in the fridge or freezer before use for ice-cold beer until the very last sip. 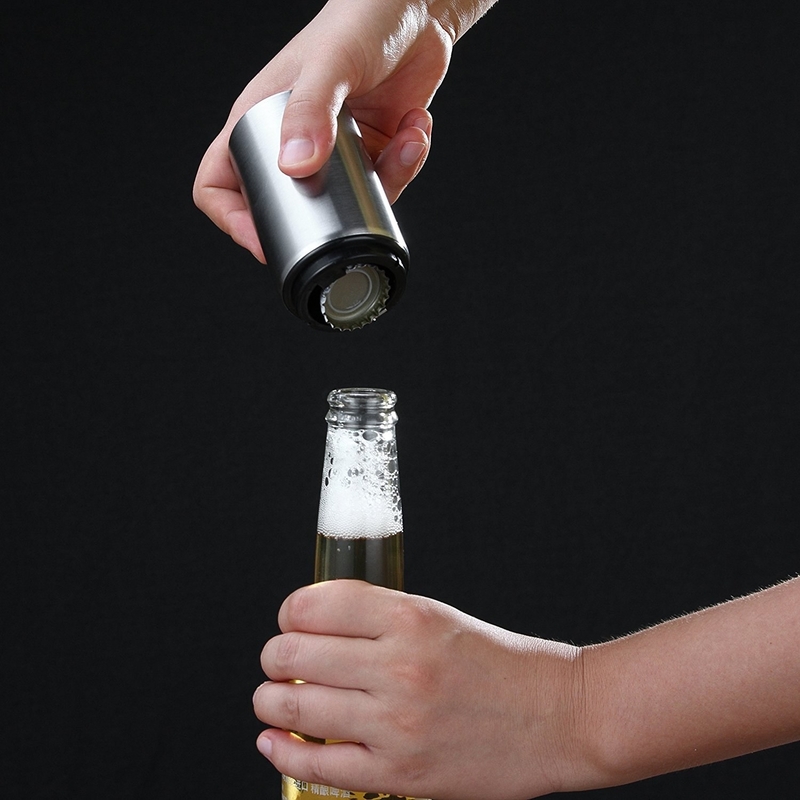 The stones are made from reclaimed New Hampshire granite and have cork-clad bottoms to prevent any scratching and a 2.5-inch opening that fits most standard 12 oz. bottles; the ash wood and aluminum caddy has a sea stone handle that makes it easy to carry. Get it from Uncommon Goods for $68. 11. A sticker that says what's really on their mind while they're stuck at work. Get it from Society6 for $2.99+ (available in four sizes). 12. A tap machine from Hopsy, so they can enjoy beer on tap from the comforts of their own home whenever they damn well please. Is there anything a brewski lover enjoys more than a delicious refreshing beer on tap? Save them the trouble of heading to their local watering hole every time they've got a hankering for one by heading to Hopsy — which offers a countertop draft-beer machine and tons of brews to go with it! Get it from Hopsy for $179.99. 13. A pair of beer and pretzel socks, for the person who's well-aware of the best snack-and-beverage combo to ever grace humanity. Get the set of two pairs from Amazon for $14.99 (available in a variety of other designs). 14. A recipe book for the at-home brewmaster, so they can take their small-batch game to new levels and experiment with different seasonal recipes. Get it from Amazon for $14.99+, Barnes & Noble for $14.99, or a local bookseller through IndieBound here. 15. Or an on-demand class that'll teach them the DIY brewing basics from the comfort of their own home. Get it from Udemy for $19.99. 16. 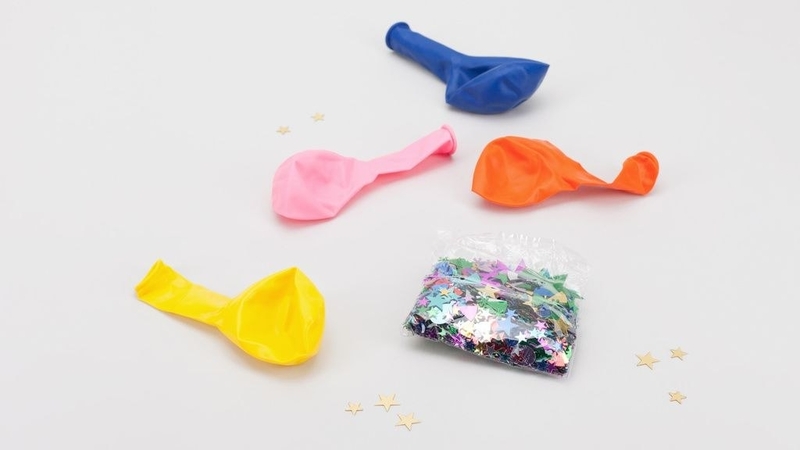 A fun little bottleneck holder to turn any bottle of beer into an instant party — complete with balloons and confetti! 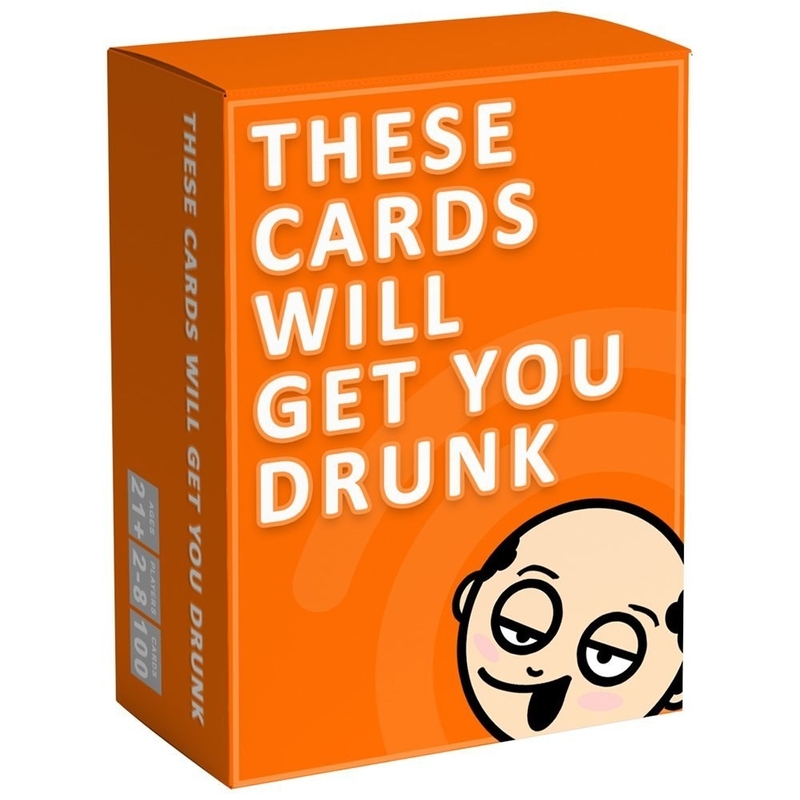 Get it from Wildfang for $4 (also available in "Let's Play," "You Rock," and "One More Round" options). 17. 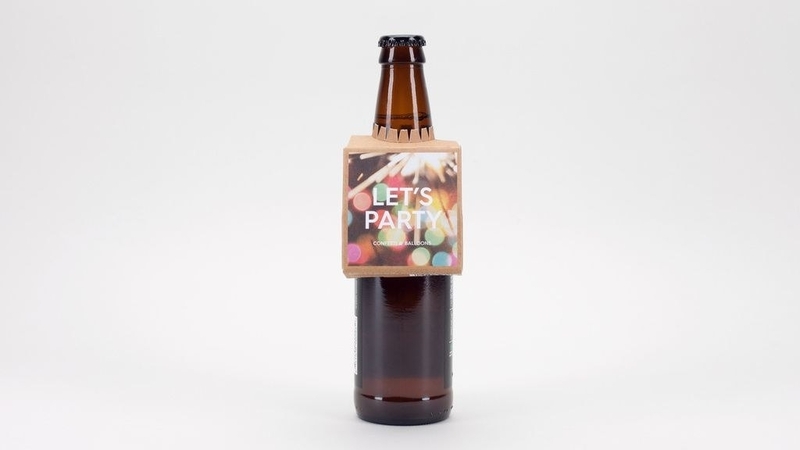 A personalized beer caddy that'll make it easy to tote their favorite brews to a party or picnic. The wooden six-pack caddy reads "Save Water, Drink Beer," includes a bottle opener, and can be personalized with the recipient's name. Get it from LoveandLuxeHandmade on Etsy for $24.99. 18. A subscription to the Craft Beer Club, for the gift that truly does keep on giving. Each shipment includes 12 craft beers (four different styles, with two from each craft brewery), plus a newsletter detailing the story behind the beers and what they pair best with; you can gift 1 to 12 shipments as well as choose monthly, every-other-month or quarterly subscriptions. Get it from Craft Beer Club for $42/shipment. 19. 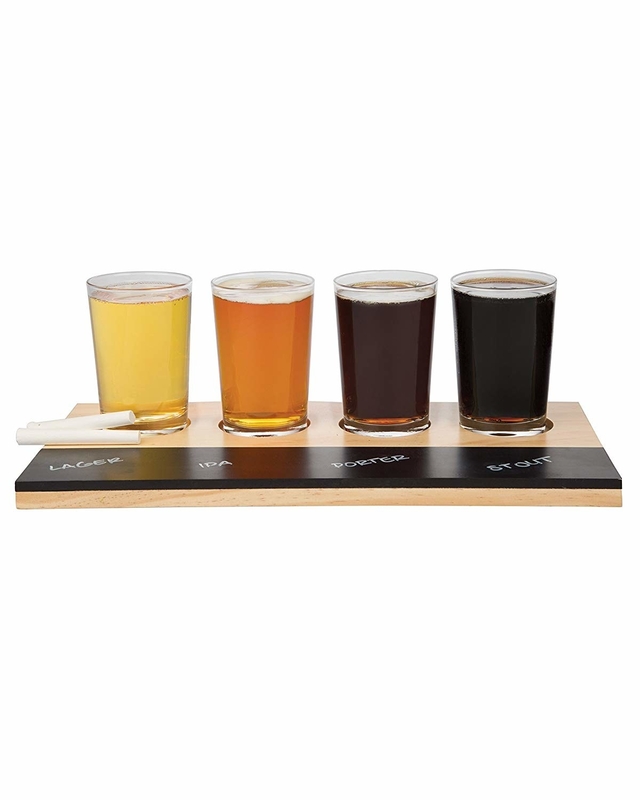 A beer flight set with paddle and chalkboard that makes a great gift for the beer lover who enjoys entertaining; or an engraved option with a more rustic vibe. 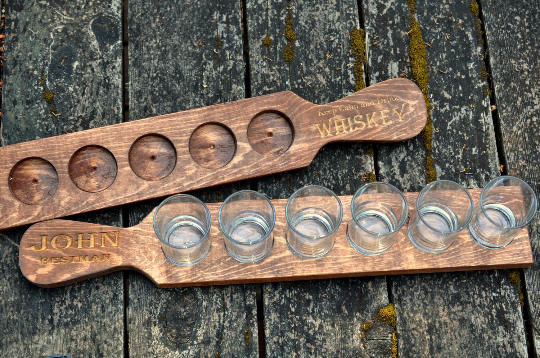 Get the chalkboard flight set from Amazon for $22.99; get the engraved beer-flight tray from ReclaimedOregon on Etsy for $22.91+ (available for four or six glasses). 20. A bottle-cap state map to transform their dusty ol' collection into a piece of quirky home decor. Get it from Uncommon Goods for $35 (available in all 50 states). 21. And an automatic bottle opener so they can remove all those caps without denting them. 22. A cheeky vintage-style tin poster that'll be a perfect accent in any room of their home. 23. A ridiculously adorable pin for the person who loves sloths as much as they love a cold one. 24. 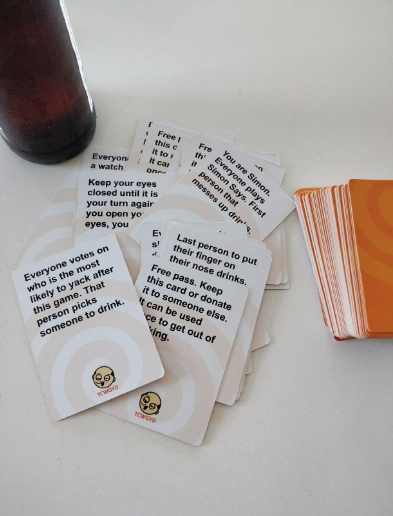 A drinking game that lives up to its name, for when you've gotten sick of playing Cards Against Humanity for the hundredth time. 25. 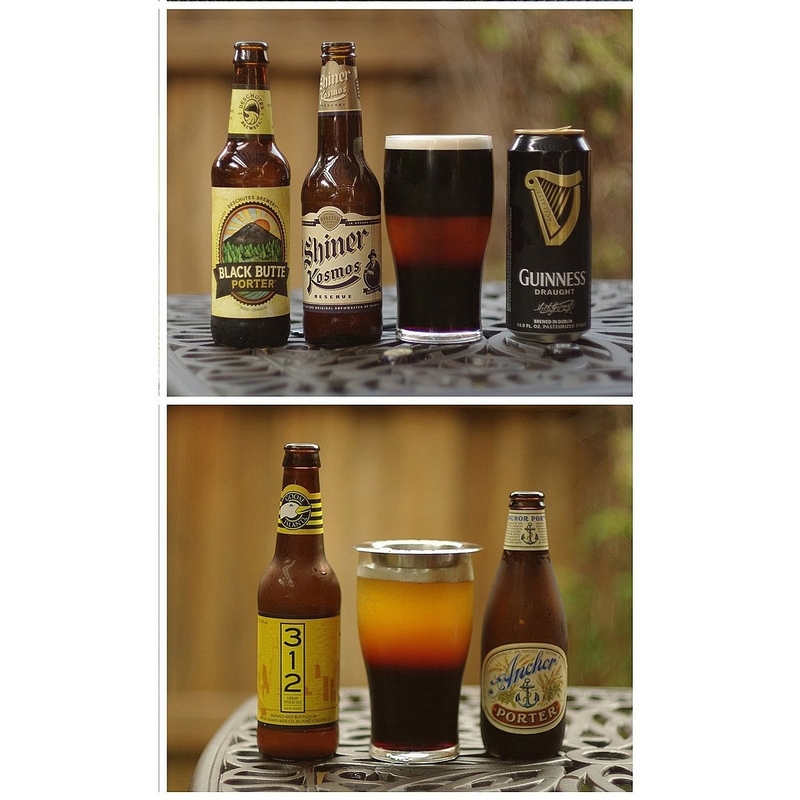 A guide to tasting and pairing beer, for anyone who regularly hosts parties or who just wants to elevate their drinking and dining experiences. Get it from Amazon for $9.99+, Barnes & Noble for $11.99+, or a local bookseller through Indiebound here. 26. A punny tee that lets the world know what types of crafts are actually up their alley. Get it from Amazon for $22.99 (available in women's sizes S-XL and men's sizes S-3XL and in five colors). 27. 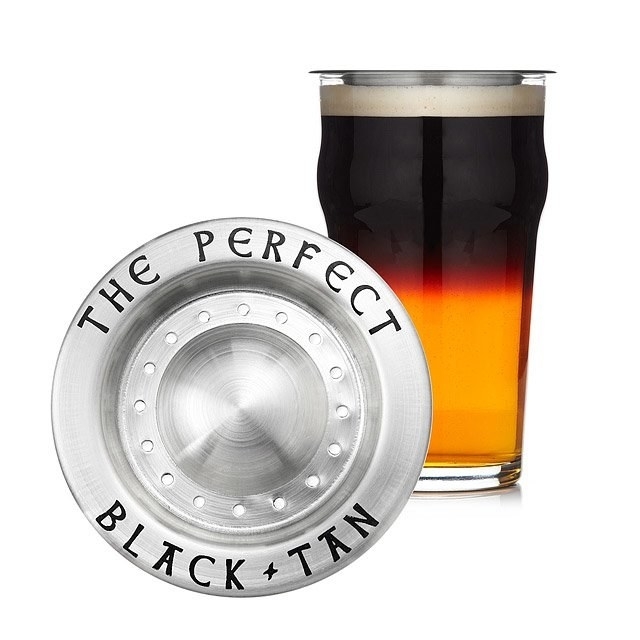 A beer-layering tool so they can make a pub-rivaling black and tan in the comfort of their own home. Get it from Uncommon Goods for $9.95. 28. This framed print of a classic vintage Guinness ad that they'll love, no stout about it. Get it from Society6 for $42.99+ (available in six sizes). 29. And a mini-fridge, so they never have to be more than arm's length away from their beloved brew. 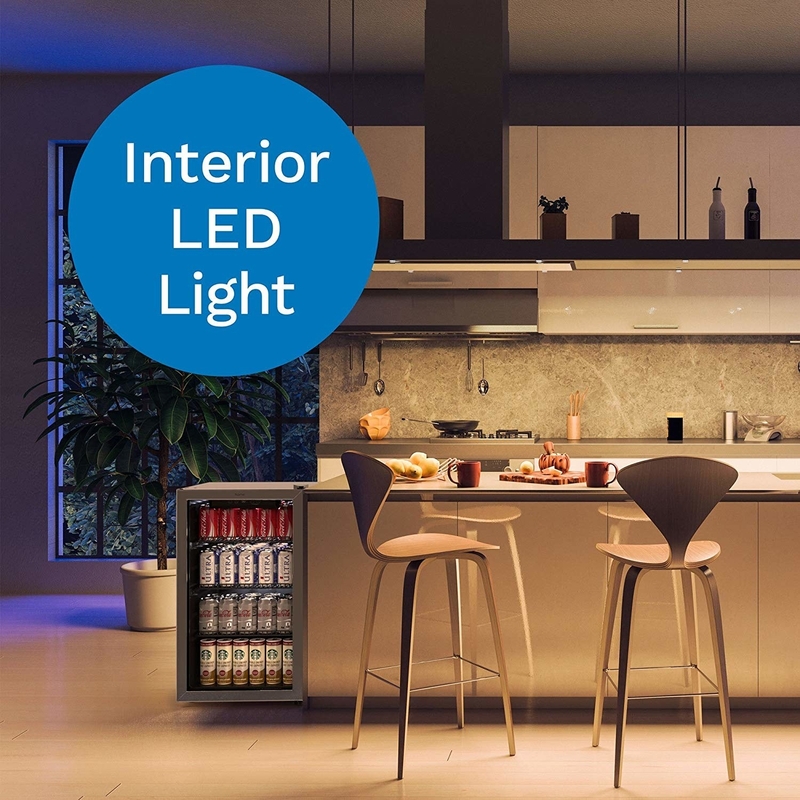 The 3.2-cubic-feet stainless-steel fridge features adjustable and removable shelves, a 120-can capacity, and an interior LED light.